Visit of Minister of Finance Mr. Jeroen Dijsselbloem, MSc to Solliance on November 3rd, 2014. On November 3rd, 2014 The Dutch Minister of Finance Mr. Jeroen Dijsselbloem, MSc visited Solliance together with the Eindhoven City Council Member Mr. Staf Depla. The purpose of their visit was to see the effective deployment of local subsidies and the relations between institutions and corporate businesses. 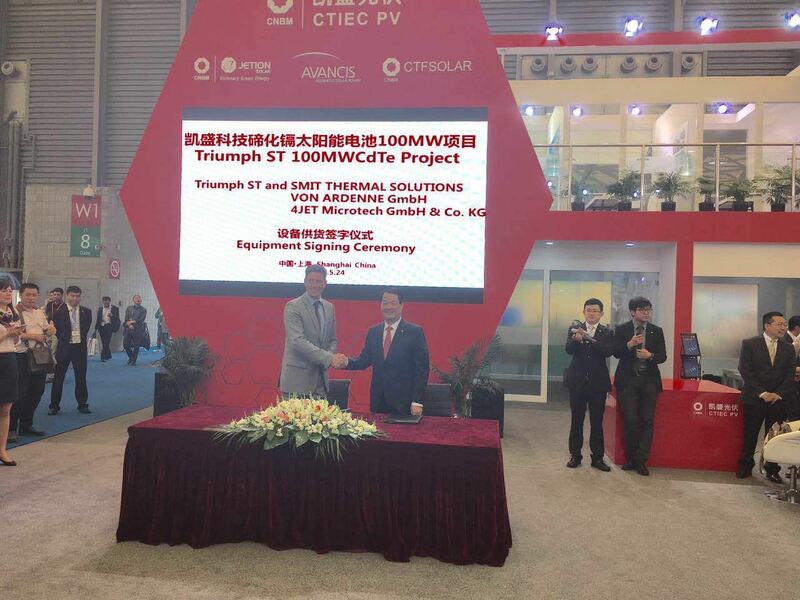 Wiro Zijlmans hosted this visit on behalf of Smit Ovens, Hein Willems was spokesman for Solliance. 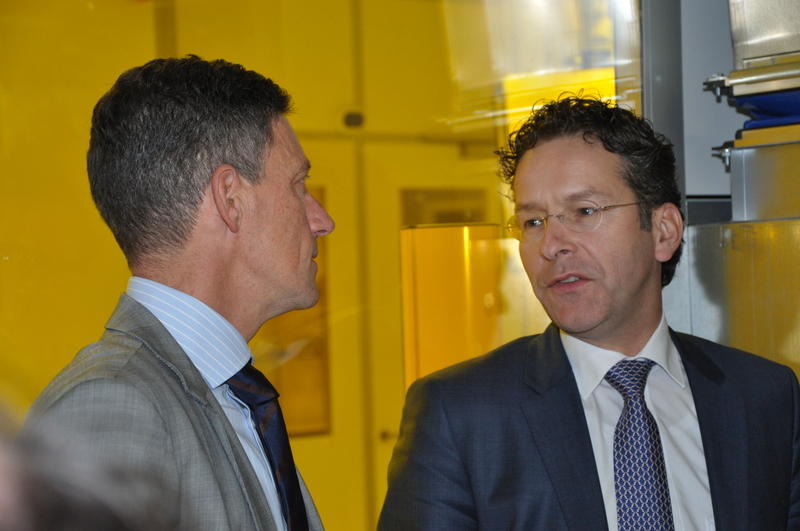 Mr. Dijsselbloem has been well informed about the co-operation model between Smit Ovens, Solliance and Holst Centre. 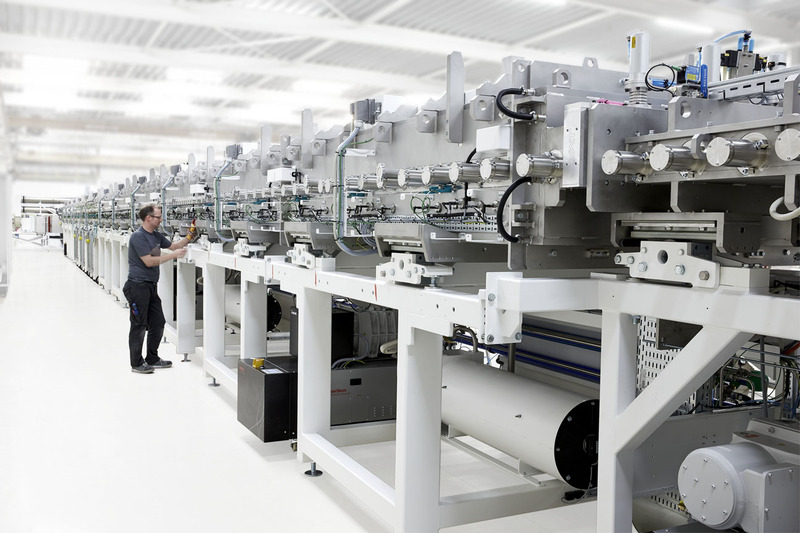 He was especially interested in the way Smit Ovens has offered research institutes to use their testing module and the way this has brought new business for Smit Ovens.